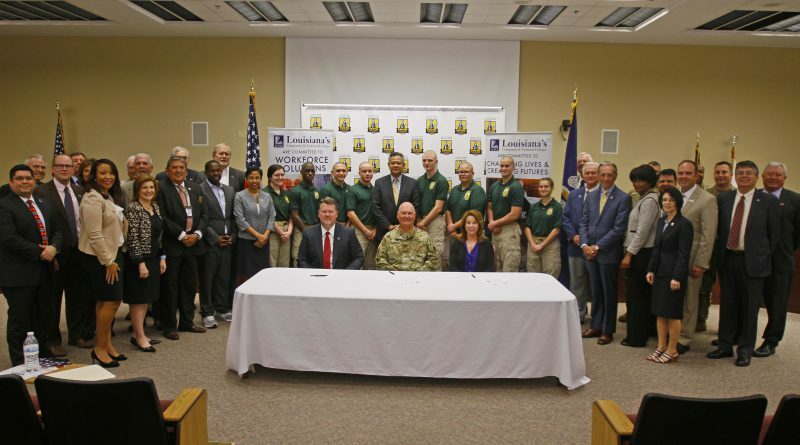 NEW ORLEANS – The Louisiana Community and Technical College System signed a memorandum of understanding with the Louisiana National Guard Youth Challenge Program in Baton Rouge, Feb. 8. The agreement will strengthen the already present relationship between the LANG YCP and the 13 colleges within the LCTCS. The YCP began a pilot program with LCTCS in 2015 to provide cadets the opportunity to earn certifications in welding, industrial manufacturing and patient care at no cost to the cadet. Since then, more certifications have been added. YCP cadets have now earned 108 technical community college certifications in welding, patient care technician, drafting, industrial manufacturing technology and heavy equipment operation. Master Sgt. Richard Bullock, the YCP recruiting consultant, said that the initiative has been a huge success and that federal funding of the program grew from $215,000 in 2016 to $352,000 for 2017. These funds are used to cover the costs of tuition, books and supplies for cadets who participate in the program. 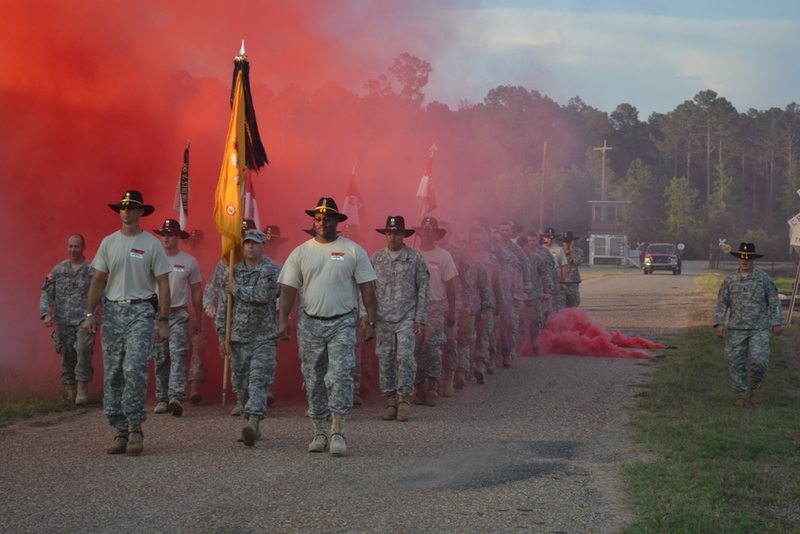 Col. Michael Borrel, the director of educational programs for the YCP, said that the ceremony recognizes the success of that initial program and memorializes the commitments of both the YCP and LCTCS to Louisiana youth. 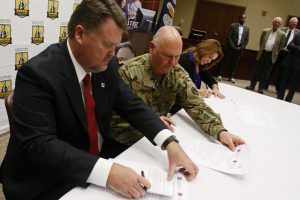 To be considered for the program, new cadets must score high enough on the test of adult basic education (TABE) to be placed into a local community college that offers classes that coincide with the workforce demands of Louisiana. If they do so, they are then given the opportunity to attend classes four afternoons per week during their 22-week stay. 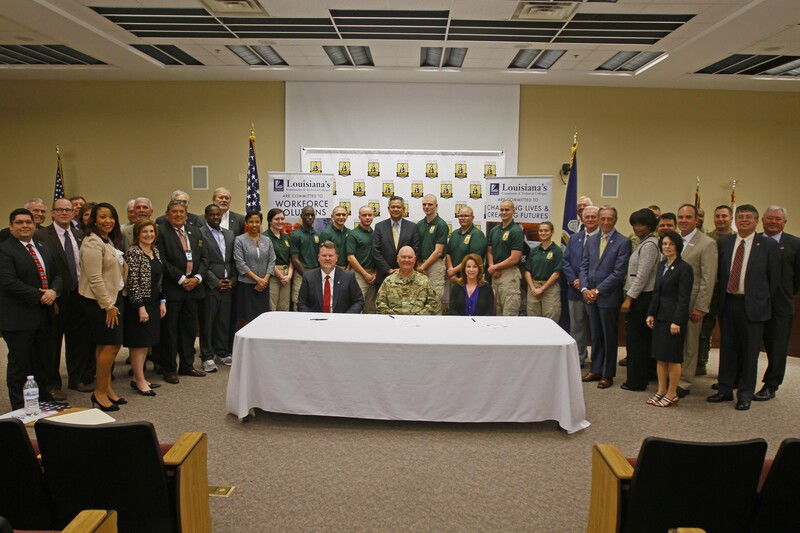 “We are proud to improve access and remove barriers for our military personnel and participants of the National Guard’s Youth Challenge Program,” said Dr. Monty Sullivan, the LCTCS president. 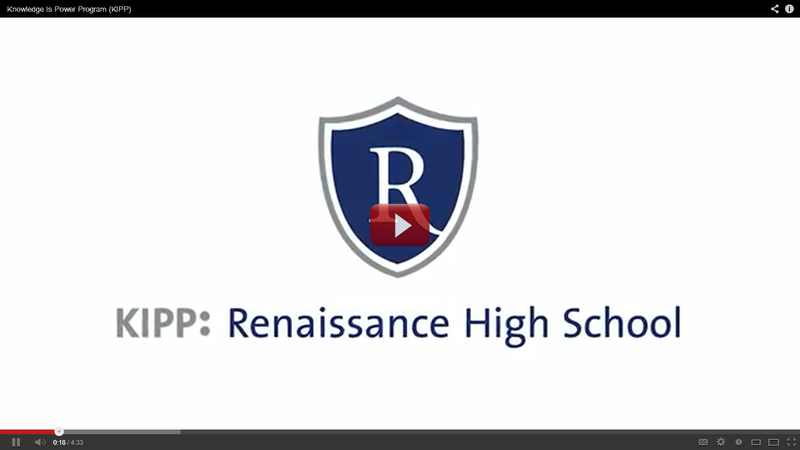 The LANG YCP is a free alternative education program which offers 16-18 year-old students an opportunity to earn their high school equivalency diploma and change their future through participation in an innovative program which emphasizes self-discipline, leadership and responsibility. 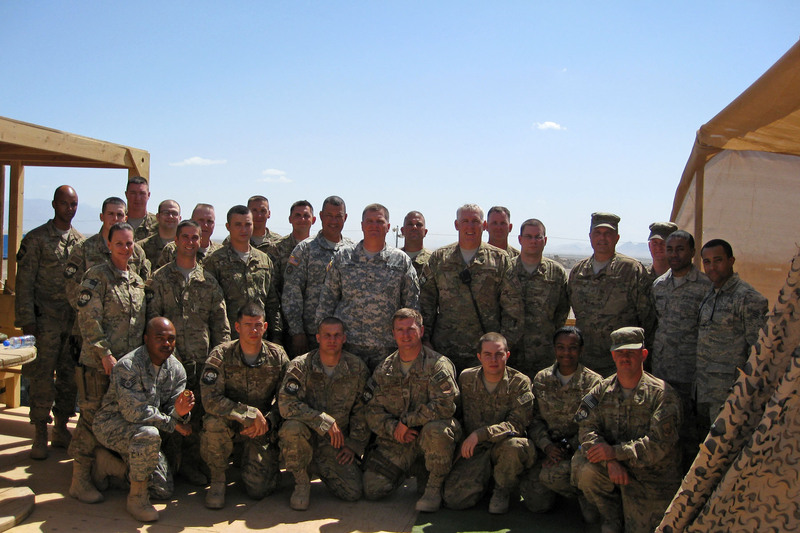 “The data shows that YCP simply works,” said Maj. Gen. Glenn H. Curtis, the adjutant general of the LANG. Independent reviews have found the YCP program as a whole to be an effective and efficient solution to addressing the problem of at-risk youth, both in terms of operating costs and participant outcomes. A study by the RAND Corporation found that for every dollar spent on the ChalleNGe Program, the nation realizes $2.66 in benefits—a 166 percent return on investment. According to the report, this return is substantially greater than that of other social programs targeting disadvantaged youth that have undergone a rigorous evaluation. MDRC, a social policy research organization, conducted a multi-year evaluation of the ChalleNGe Program and found that it significantly improved the educational attainment. In addition, the study found that program participants were more likely to be employed and their earnings were 20 percent higher than comparable populations who were not ChalleNGe graduates. To date, the LANG YCP has graduated 21,581 cadets. These cadets have earned 12,044 college credit hours and 10,775 HiSET (formerly the GED) credentials.